Few people admit to buying modern military shooters for their campaigns, and it's not hard to see why. The Battlefield and Call of Duty franchises are derided for being simplistic shooting galleries that hold the player back. But what if it didn't have to be that way? What if some game had already done it right? No matter what you do, you will die—until you realise that you're supposed to stand. IF WE'RE NOT EMPATHISING WITH SOMEONE, THEN WE'RE NOT SO WILLING TO GO OFF ON A CRAZY JOURNEY WITH THEM. Drama is the thing that compels us to partake in the experience. It's the thing that connects us to the characters and the story. Drama is the single most important thing in stories, and that includes video games. Game drama, on the other hand, is a bit different from traditional drama, because players are in control. With traditional drama, the audience needs to empathiSe with the characters in question in order to partake in the emotional journey of the story. Games take that a step further: players must take action themselves, often performing difficult, time-consuming tasks. The action of play requires more of the audience than watching a film does, which means that player motive has to be rock solid. probably that nice, juicy "500 XP!" reward you get for completing the level, not the cutscene. The best games, though? They push us through narrative and gameplay. Half-Life is a classic because it's a game about wanting to survive. Both the story and mechanics support that. 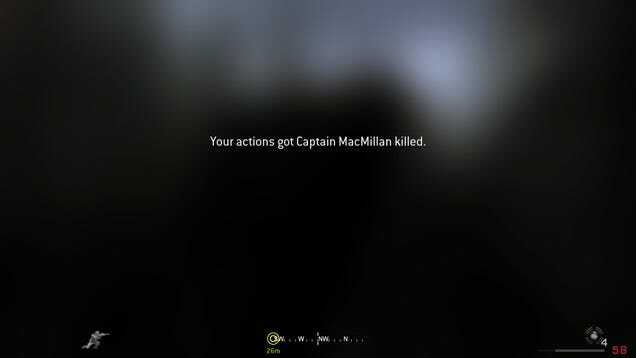 Battlefield 3 takes over and says "hey, bro, I'll stab him. You sit back and watch." It rejects our participation to the point of killing us if we try to interject. This is the modern military shooter in a nutshell, a game so preoccupied creating an experience for its audience that it pushes us out. When a game robs us of our ability to participate, when its mechanics fight us, we no longer find the game fun. Modern Warfare is just as bad as Battlefield 3. It might be less aggressive in the way it pushes its players, perhaps, but still just as limiting. So what makes it special? All Ghillied Up is a collaboration, an experience like Safehouse before it—like every level in the game, really. 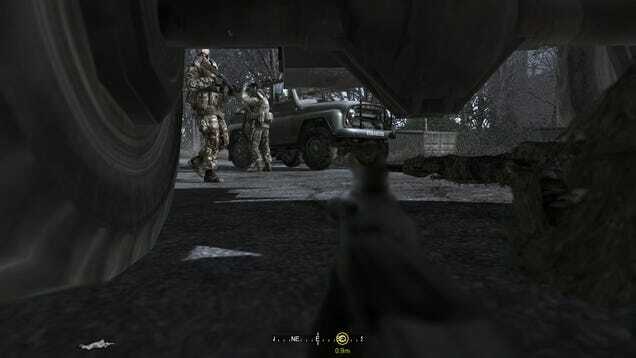 Unlike Battlefield 3, Modern Warfare works with you if you're willing to collaborate. 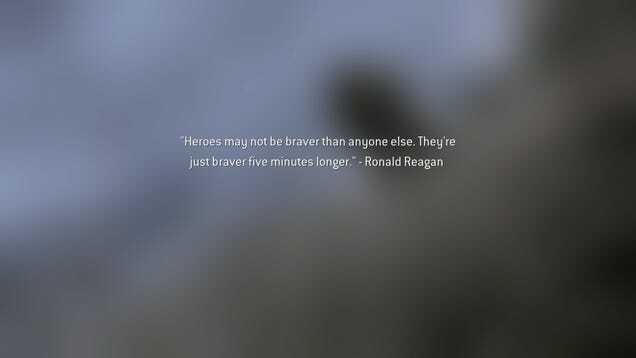 Yes, both games will kill you if you break their scripting, but Battlefield 3, a character merely says to "use your blade," and doesn't bother to tell you that you've got to stand up. MacMillan's instructions, in contrast, are always clear. 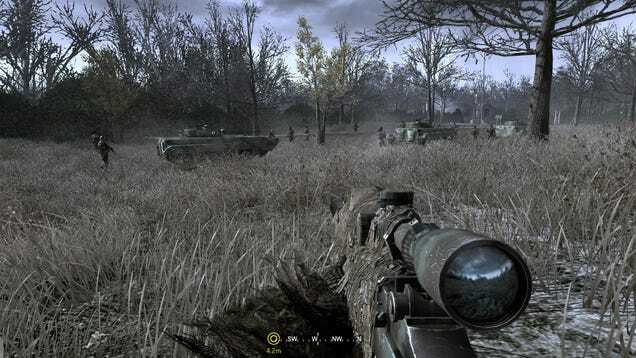 The situations presented in Modern Warfare make sense; of course you don't want to try running around when facing a dozen heavily armed men and two BTRs. 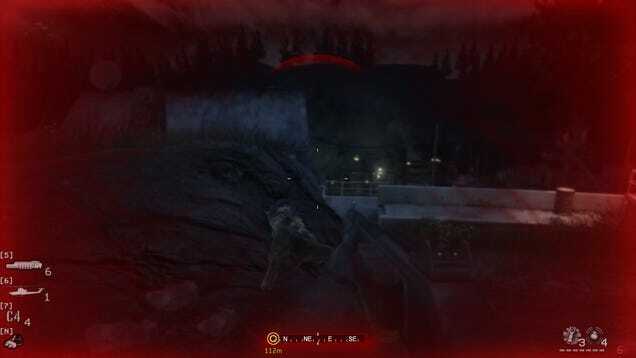 Standing up behind a guy in Battlefield 3, on the other hand, seems counterintuitive to remaining hidden. 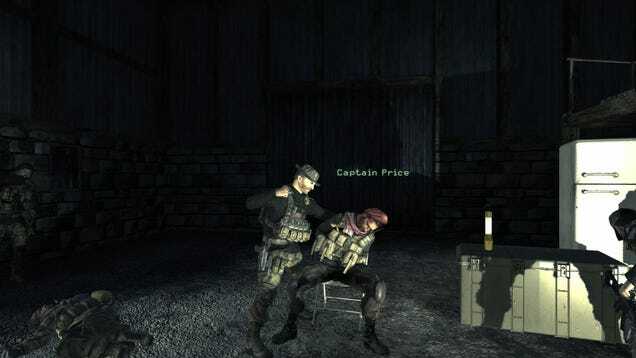 Call of Duty 4 always provides a reason for your actions; it carefully contextualises each situation, clearly communicating its intentions and goals. The only way the average player is likely to break it is if they make the conscious choice to do so. It's still gameplay, but it's less focused on movement and shooting, and more focused on helping you play the part of a person in a distinct space and time. This is something only video games can do. It makes them special and wonderful. Don't get me wrong, I love traditional gameplay, and I recognise Modern Warfare's take might not match up to Halo's in terms of feel, interactivity, or intelligence required, but that's because it serves a different purpose. Judging Modern Warfare by Halo standards is a bit like judging a steak as if it were a brisket. Both are great and quite similar, but each is terrible by the other's standards. Modern military-shooters are a different kind of video game. Yes, on the surface, the mechanics seem like they might be the same as games such as Doom, but these similarities are tangential. 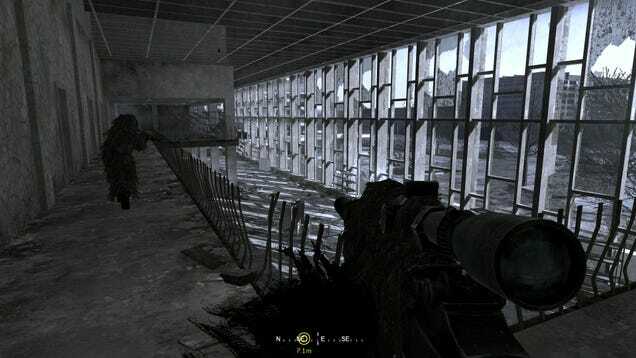 I think games like Call of Duty could be referred to as "experiential shooters," games which utilize the mechanics of the first-person genre as a way to put players in the shoes of another person. It's more about the emotional intensity of the experience than the mechanical complexity of the shooting.